Gov. 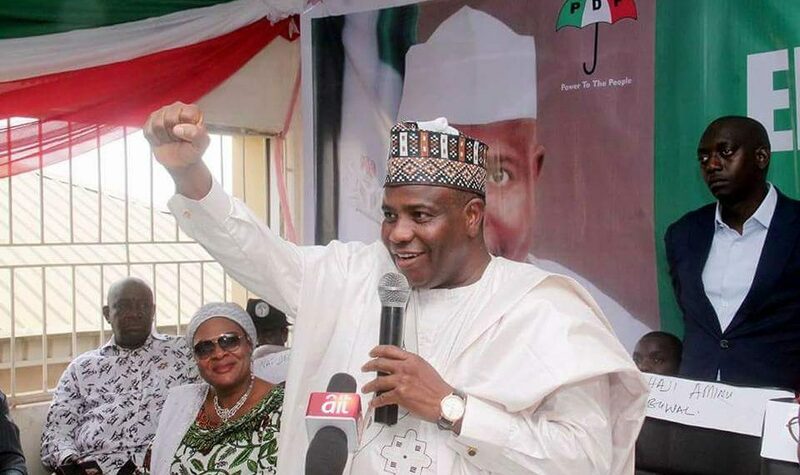 Aminu Tambuwal of Sokoto State has warned supporters of the Peopleâ€™s Democratic Party (PDP) in the state against gossips and idle talks. Tambuwal spoke on Thursday night during a PDP stakeholdersâ€™ meeting in Sokoto. The governor said that avoidance of gossips and idle talks by the PDP members was necessary in order to consolidate the recent popularity attained by the party in the state. â€œOur meeting today was convened to dispel insinuations of an imaginary rift among the party leaders in the state. â€œSuch rumours were being circulated by the opposition in order to create doubt in the minds of the people of Sokoto state against the PDP. â€œI therefore wish to generously clarify that the leaders and the leadership of PDP in Sokoto state are united and focused,â€ Tambuwal said. He said that his administration was committed to running an open door policy and welcomed constructive suggestions, pointing out that this could lead to the partyâ€™s victory during the 2019 general elections. Earlier the former governor of the state Alhaji Attahiru Bafarawa, reaffirmed that the party remained united in the state. Bafarawa explained that there was no misunderstanding between him and Tambuwal, adding that rumours of such a misunderstanding were false and baseless. He appealed to the people of the state to continue to support the governor in his efforts to reposition the economy of the state.